With each Masonic organization having its own methods for picking leaders, it can quickly get confusing how a person might become the head of body. Add to that mix the Masonic Youth groups, with all of their titles and responsibilities, and even more confusion prevails. This series of articles will detail each of the three Masonic Youth Groups in turn, and provide a little bit more information on how their leaders are chosen. For the second article we will be focusing on the Order of the Rainbow for Girls. Special thanks to Helen Snedden, Supreme Deputy in Pennsylvania for supplying this information! 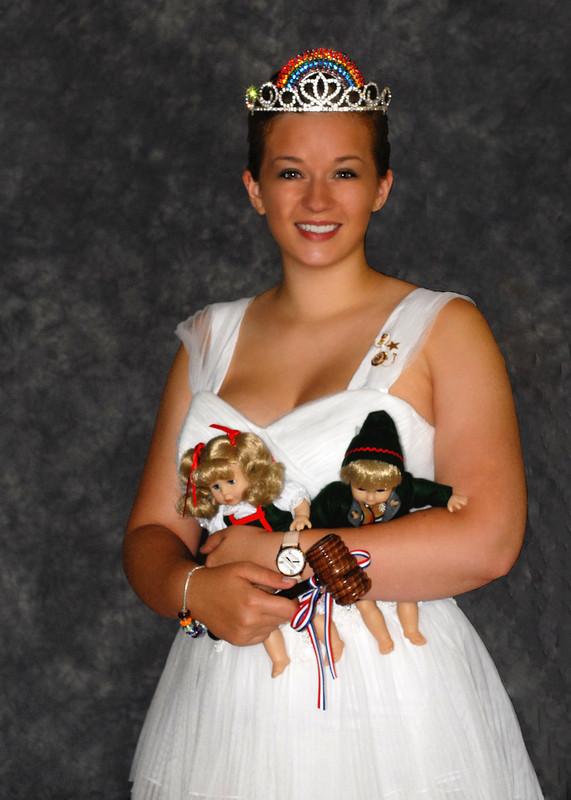 The Order of the Rainbow for Girls has a long and rich tradition in Pennsylvania. With recent changes in leadership, and new assemblies opening around the state, Rainbow is experiencing a renaissance within the commonwealth. Leading this growth is the Grand Worthy Advisor for Rainbow in Pennsylvania, but how does a young lady attain this office? The selection process for Grand Worthy Advisor currently has three steps. Any member of Rainbow, 18 years or older, who aspires to the office fills out an application for the station. The applications are reviewed and approved by the Supreme Deputy. The approved candidates are then interviewed by the Senior Grand Executives, who operate like a board of directors for Rainbow in Pennsylvania. The interviews include: ritual demonstration, term presentation, and answering set interview and impromptu questions. The Grand Executives then meet with the Supreme Deputy and a decision is made. The new Grand Worthy Advisor is announced and installed at Grand Assembly, the annual state convention, held in June each year. For more information on PA Rainbow Girls, check out their website at www.parainbow.org!